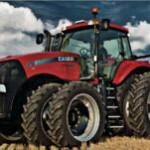 Case IH has won two SIMA Innovation Awards. A Gold medal has been received for a new automatic vehicle-to-vehicle synchronisation solution, which expands Case IH Advanced Farming Systems (AFS) portfolio. A Silver medal has been awarded for a new CVT PTO concept, which increases tractor productivity and efficiency. 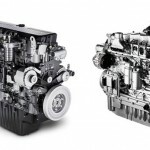 Case IH introduced V2V synchronisation technology for two vehicles at work. To boost efficiency of harvesting operations using a ‘master and slave’ approach, the combine becomes the central ‘master’ and takes control of the tractors/grain carts. Central to the system is a wireless connection, which is used to manage data exchange between vehicles. The combine takes control and dictates forward speed, vehicle alignment and direction of travel to the tractor when it enters the ‘active zone.’ The driver of the combine is then able to monitor the unloading and status of the grain cart. The main advantage of this system is consistent and repeatable unloading on-the-go during harvesting as the individual tractors/grain carts arrive at the combine. Even with unskilled operators it is possible to perfectly fill trailers and avoid spilling the valuable crop over the edge of the cart/trailer. The system eliminates the risk of tractor and combine collisions due to precise vehicle alignment and reduces operator stress and errors. 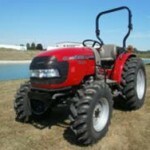 Case IH has developed the world’s first continuously variable PTO transmission for tractors. This system enables infinitely-variable adjustment of PTO speed independently of engine speed, overtaking previously standard fixed PTO speeds. In the field, this means that the PTO speed, and therefore the drive to mounted and trailed equipment, can be adjusted continuously to match the current operating conditions. The system enables PTO speed to be controlled at low engine speed. 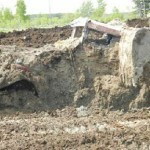 This leads to significant fuel savings. The new system is designed to ensure that equipment is driven reliably in all operating conditions, such as starting up under load or during an emergency stop. Thanks to the continuously variable PTO transmission, all of the tractor’s systems can work more closely together. Continuously variable PTO drive technology is a part of the EfficientPower system, which harnesses the benefits of various technologies — especially in the tractor’s power train and control system — to improve productivity and comfort, significantly increasing cost effectiveness as a result. 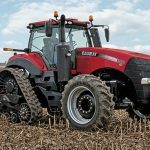 Last autumn, Case IH introduced the latest generation of engines with an innovative exhaust cleaning system and easy-to-use control system.